Some rumors went viral that Angular features included storage in artificial intelligence or AI format with a unique factor of being compatible backward with a code base of NgRx. The rumors also stated that the core or angular splitting package was responsible for the bundle size of an application as well as performance pertaining to a cold start. It also was heard that Angular included extensive features which can enable the compression or reduction of application bundle sizes from 95 to 99% approximately. 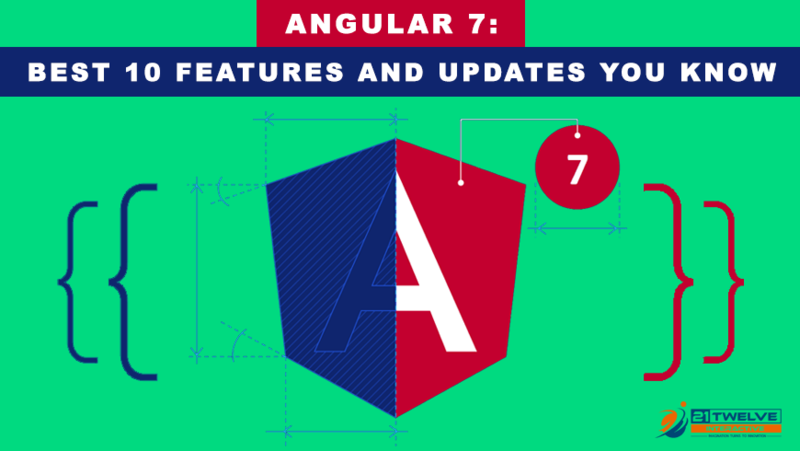 Therefore the true features and updates of Angular 7 are explained below in a way that rumors and fake news stay away and facts do the talking. The answer to this is that in an initiative to rewrite or modify the Angular compiler along with modifying and updating the runtime code Ivy Project was introduced. This, in turn, makes Angular 7 speedy, improvised, and portable. This, in turn, helps a particular developer or a coder to explore the features of routing, support, a new syntax of SCSS which is supported by SASS and has been built into Angular. This feature has been developed from the traditional drag and drops Angular Js which was included in the first version of Angular. This is possible with version 7 also with the help of drag and drop module and scrolling module being imported into it. The CDK or the component development kit includes the drag and drops feature in a supportive format with an additional format of rendering automatically when the relocation of items is done by the users. Research reads that while improvising the performance of Google, the research and development crew diagnose that web developers were mostly using the metadata which was in the reflect format. Hence, a part of the Angular 7 has been integrated to delete the same from a file formatted like polyfills.ts. Do-Bootstrap for Angular which mainly aims at bootstrapping modules through a customized ngDoBootstrap as well as DoBootstrap interface. Improvised error handling for the output if initialization of the property is not done in a proper manner. The TypeScript 3.1 has been upgraded from its 2.7 version by Angular7and is mandatory for use while working or developing applications with the help of Angular 7. The reason behind such an update is that Angular 7 moves slowly in term of TypeScript releases for coding. Similar to the above, RxJs also has been upgraded to a version of 6.3.3 with new updates and modifications which encourage performance boosting for developers. The ability for debugging call stacks and developed modularity shall enable the compatibility of Angular 7 in a backward format also. Angular 7 is highly supportive with Node v10 along with backward compatibility to give a power packed performance for developing mobile as well as web applications across servers and platforms. A yet another unique feature of Angular 6.1 is the ‘ViewEncapsulation.ShadowDom’ which with the support of web standards can implement projection of content in a customized manner. The slot is a fresh element standardized by HTML and produced by the WCS or the Web Component Specification. The same feature is also available for components enabling with the support of a template. The new and improvised router has got features such as logging a caution or warning if the navigation is triggered outside the zone pertaining to the Angular Js. The same feature should be added for activation hooks for developing the applications across all operating systems and platforms for seamless and hassle-free development. The information regarding Angular Code-Line has been updated on Angular.io as documentation. Some of the codes have been altered for the latest Angular 7 versions. For example, if <ngform> was used for form declaration in a particular template, the code should not be used as it may activate the directive for NgForm. Instead of that, <ng-form> should be used as the appropriate code. If a particular Angular application is running on a version 6 as well as RxJs 6, then it is quite suggested that the code-line or the core should get updated along with the Angular material. Research reads that the update process is faster for Angular 7 which is approximately less than ten minutes. The private Application Programming Interface or the API shall need an export of ‘defaultKeyValueDiffers’. Hence, here are the best Angular 7 features which shall help in using and installing the appropriate Angular versions on the devices in a way that a suitable application and user interface can be developed with the required features and updates for providing a seamless performance with strong and efficient desired outputs from the same.